This vehicle is one of the smallest and the lightest in its class. This characteristic comes really handy when you need to park the car or find your way out of after work traffic jam, but it also comes with some painful experiences especially for the people who are in the back seat. Toyota decided to discontinue sedan and coupe versions of this vehicle and now only the subcompact hatchback is available, but it comes with two configuration that can be choose, one comes with 3 while the other comes with 5 doors. There are also 3 separate trim levels: L, LE and SE. 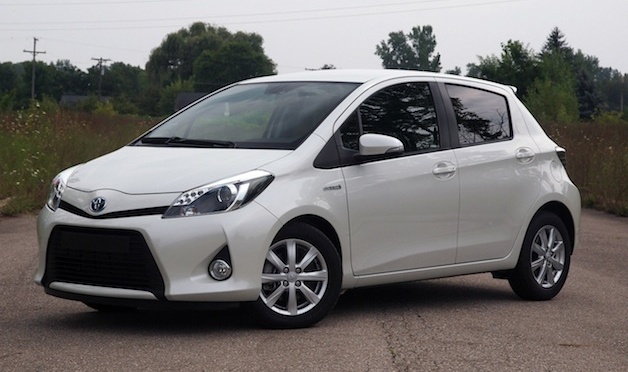 Most of the changes in the 2015 Toyota Yaris came on the outside. Its front fascia is completely changed which makes this model more independent and European. New design was created in Toyota’s French design studios and it comes with larger trapezoidal grille, redesigned headlamps and fog lams in SE trim level and swoop line of brightwork around the Toyota logo. Interior design is nice and functional with a lot of cool built-in storage places and enough leg and head room for the driver and the passenger seat. Back seat feels really cramped which is not odd when looking at the vehicle’s exterior. SE trim level comes with the new infotainment system, that we didn’t test yet so we can’t say for sure how functional it is. It also comes with Audio Entune system and 6,1 inch display. Worst segment in 2015 Toyota Yaris is the performance, which didn’t go far from the econocars from the nineties. This model comes with 1,5 liter four cylinder engine that has poor output of only 106 horsepower and 103 pound feet of torque. This is the worst result in the whole class and we hope that Toyota is finally going to replace this engine for the net model year. This output would’ve been a disaster if Yaris is not by far the lightest vehicle in its class with only 2,300 pounds, which is 20 pounds less than last year’s model. 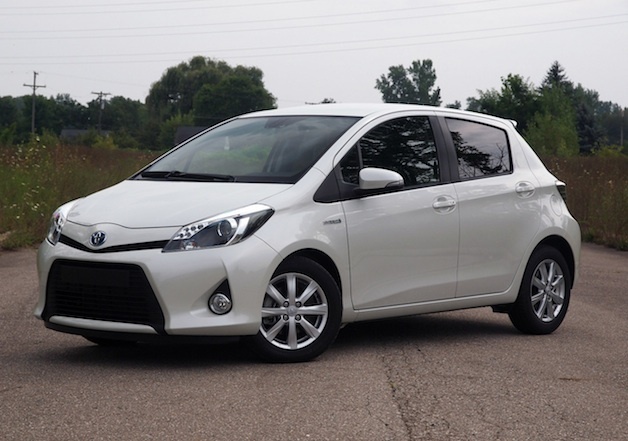 Depending on the trim level and door configuration 2015 Toyota Yaris can cost from $14,570 for the base L trim level with 3 doors, up to $17,800 for the highest SE trim with 5 door configuration. Prices go up by$1,000 for each upper trim level, which makes LE cost from $15,000 to $16,000.